Published by Black Rose Writing! Visit the Publisher's Site to Order the Book. Check out interviews with the author! A very big thank you to Billy Bob Buttons from Wishing Shelf Awards (England) for sending me this awesome medal, which I received in the mail. It was sent because I was a finalist in the historical fiction category for 2018. Can’t wait until the final results are announced in April. 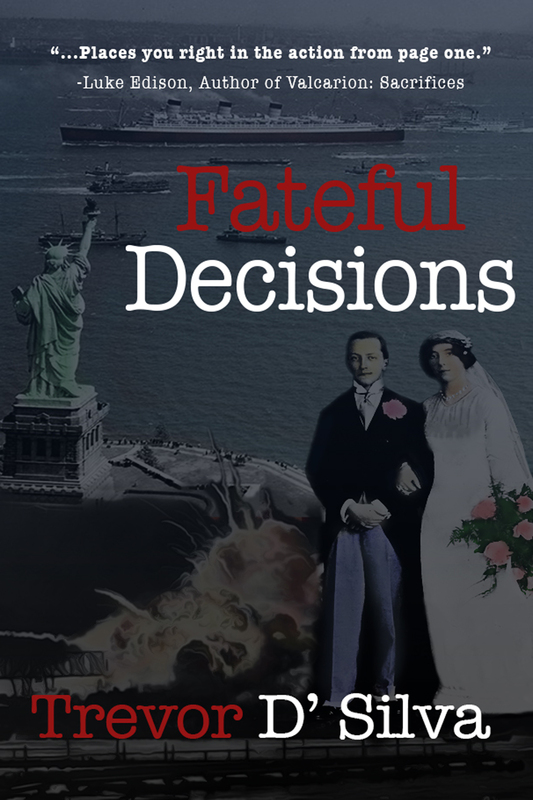 ‘Fateful Decisions’ is for 99c from Feb 17 to Feb 19, 2019. Please take advantage of this offer from Reading Deals by clicking this link. Amazon – Kindle, Paperback and Audiobook. If you know of a loved one, acquaintance or friend that loves history and fiction, why not give them ‘Fateful Decisions,’ as a Christmas or New Year’s gift. It has romance, military history, suspense, and also thrilling events all under the banner of historical fiction. You can get it in paperback or on Amazon Kindle. My website has links below (please scroll down) to Amazon, B&N and also Goodreads. After you have finished the book, please leave a nice review on all three websites if you can and if you have accounts on any or all three of them. Good reviews help, and a nice one makes the author’s day. So, a Merry Christmas and a very prosperous, happy and fruitful 2019 to everyone. Please feel free to share this site with everyone you know and also follow me on Facebook, twitter and instagram (links are below, please scroll down). 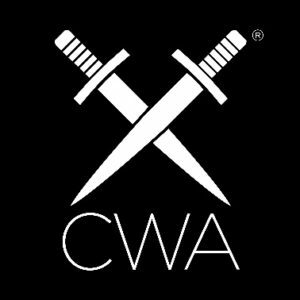 Also, please stay tuned for news when my 2nd book – a murder mystery will be released. October 19th, marked one year ‘Fateful Decisions,’ came out. My journey as a published author began on that day. Thanks to this book being published, I have met many wonderful people through book signing events and also online. I must thank my publisher ‘Black Rose Writing,’ especially Reagan Rothe for choosing my book to be published and his dedicated team for helping to get this book published. Seventeen years of hard work finally ended on that day. I am writing my second novel, and hope to publish it in early 2019. I would also like to thank my parents for their support. Meanwhile, please go to Amazon, B&N and also Goodreads to purchase the book and please leave a review on all three sites. Leaving reviews will make an author’s day and it will be the case here. Please feel free to contact me with any questions and comments by clicking on the ‘Contact,’ button on the top right corner. My book is ‘Book of the Day’ for September 29, 2018. Please download onto your Amazon Kindle or you can also get the book. Here is the link! Welcome to my website. My name is Trevor D’Silva and I published my first novel ‘Fateful Decisions,’ in October 2017. It is a historical fiction novel set between 1915 to 1946 in America and in Europe. This novel has other sub genres like military history, historical romance, Word War 1 and World War 2 history, which all come under the umbrella of historical fiction. It is also a family saga. For those that like murder and a little bit of suspense, my book has it all. Please feel free to browse through my website and also use the contact page to send me an email if you have any questions. There are links below to Amazon, B&N and also Goodreads, where you can purchase the book. Please click on the icons and it should direct you to the appropriate site. Currently, my book can be purchased only on Kindle from Amazon. I will let you know when it can be purchased electronically on other platforms. After you have finished reading my book, please leave a review on Amazon, B&N and also on Goodreads, if you have accounts on all three sites and if the sites lets you (as some sites have their rules on who can post reviews). Reviews from readers help the author gain more readers and also tells the author how much the reader appreciated the novel. Also, please feel free to follow me on Twitter, Facebook and also on Instagram by clicking the icons below. My book has got the 5 Star seal from Readers’ Favorite. Also, my book has been short listed for the Semi-Finalists position for the 2018 Goethe Book Awards novel competition for -1750s Post Historical Novels . Please keep your fingers crossed that it moves to the next round. I have done five interviews so far. Please click on the icon where it says interviews and read about how I began my novel, what inspired me to write this novel and certain facts about me.I have also added a link to my articles above at the top right hand corner. There is a link to one article right now, but I will be adding more articles as I write them. What am I currently doing??? Well, I am working full time and also marketing my novel. I have had five book signing events (three of them at B&N Bookstores) so far and hope to go to a book festival in November. I’m also writing my second novel, which is a murder mystery set in 1920’s England and some portions in Scotland. I will be introducing a new detective who is very young and this will be his first case, which he has to solve alone. More info later! I thank you for visiting and hope you will return soon.